Ships today if you order in the next 13 hours 60 minutes. 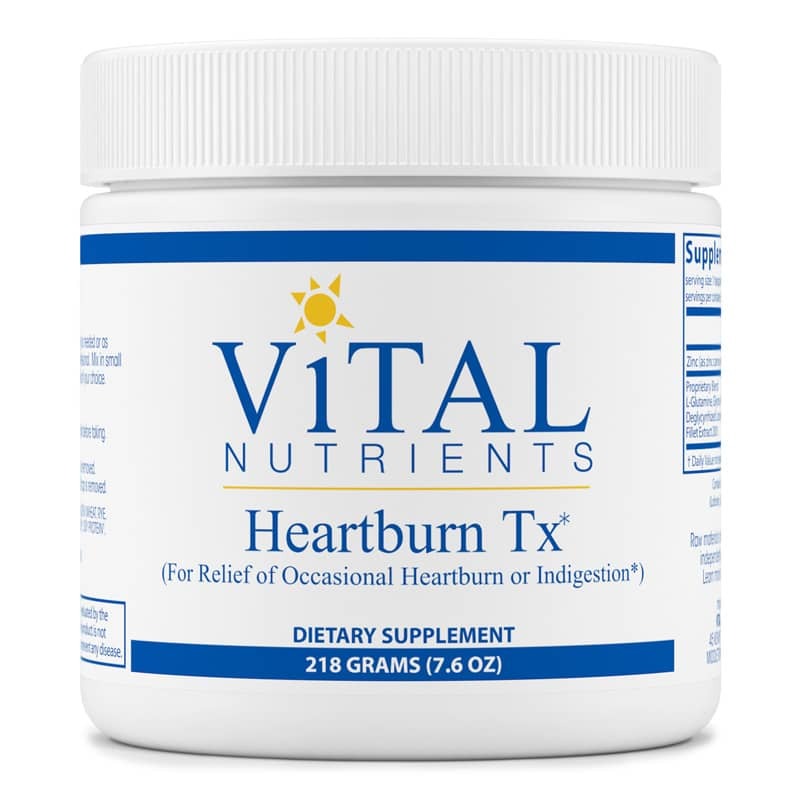 Heartburn Tx from Vital Nutrients is a combination of herbs and nutrients designed to work synergistically and provide relief of occasional heartburn and indigestion. 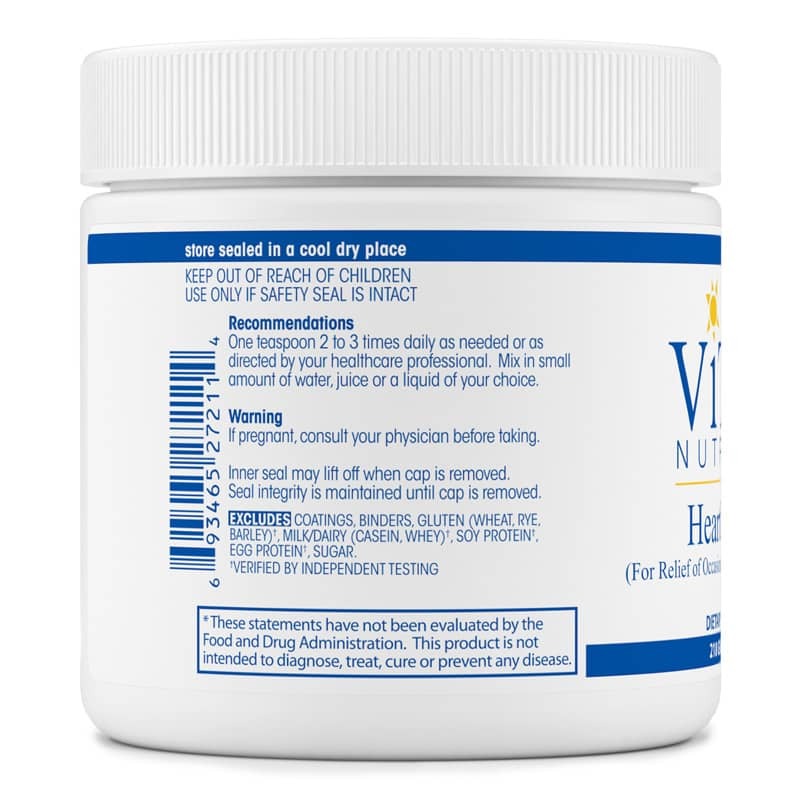 Vital Nutrients uses the highest standards for Quality Assurance. 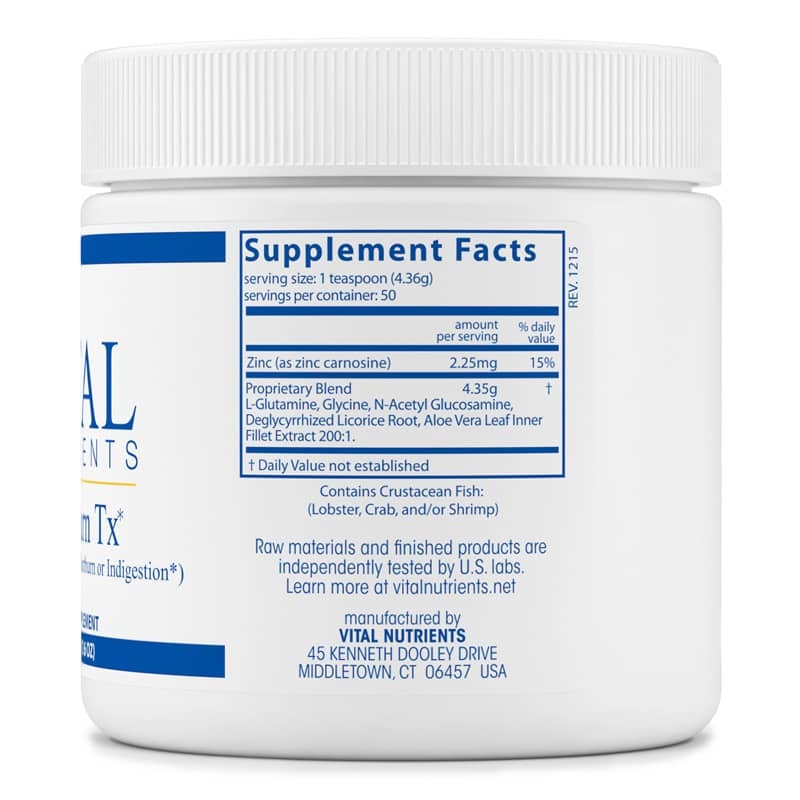 Vital Nutrients has been audited and is certified for Good Manufacturing Practices (cGMP) by the NNFA (National Nutritional Foods Association). Their facilities are audited by these independent outside agencies to third party certify and prove their compliance with GMP guidelines and quality assurance practices. These two organizations are leaders in natural product manufacturing quality assurance certification in North America. Contains crustacean fish: (lobster, crab, and/or shrimp). Contains NO: coatings, binders, gluten (wheat, rye, barley), milk/dairy (casein/whey), soy protein, egg protein, sugar. Adults: Take 1 teaspoon 2 to 3 times daily as needed or as recommended by a healthcare professional. Mix in small amount of water, juice or a liquid of your choice. Contains crustacean fish: (lobster, crab, and/or shrimp). If you are pregnant or nursing, please consult your physician before using this product. Keep out of the reach of children. This product was highly recommended to me by a naturopathic doctor. My naturopathic doctor prescribed this after my gallbladder was removed because I was still having slight pain and nausea, even after taking Prilosec (prescribed by my gastroenterologist) to heal the irritation in the esophagus. According to the naturopath this product helps sooth and heal the esophagus without the dangers of Prilosec. It works amazingly well. I tried tapering off it after 4 months as my doctor suggested, but the nausea returned in a couple weeks. So I'm back on it. I wish I didn't need to take it, but if I had to take something I'd take this over any pharmaceutical drug.